To place an order please select your desired item(s) and add to your shopping basket. Once you are satisfied with your selection, follow the instructions on the checkout page to complete your order. You will need to create an account or log in to an existing account. As soon as you confirm your order, an automated e-mail confirmation will be sent to you. You can pay using Visa, MasterCard and American Express. These payment methods are all 100% secure. All submitted personal and payment information is encrypted and secure. Payments are managed by Ogone, our business partner. Your order is protected by VeriSign, which secures over 500,000 web servers worldwide with strong encryption and rigorous authentication. VeriSign is the leading Secure Sockets Layer (SSL) Certificate Authority enabling secure e-commerce and communications for websites, intranets, and extranets. - Please check your card details in your account to make sure the information is correct, e.g. the card number, expiry date or your billing address. - Make sure that you enter the security code correctly – the 3-digit number on the back of your Visa or Master card; or the 4-digit number on the front of your American Express card. - Your payment may have been declined by your bank – please check this with your bank. - If you have checked all of the above, we suggest you try paying with another card. If you have tried all of the above and are still experiencing problems, please contact our Pandora Customer Support providing as much information as possible. During extremely busy periods it is possible to place an order for a product which may just have gone out of stock. In this case, Pandora reserves the right to cancel your item or your order and refund the relevant amount to your credit card. We apologise for any inconvenience. Can I have my VIP discount for my order? If you are our VIP, similar to our stores, you are entitled for a 10% discount on all regular-priced items. Such discount is not applicable to the order shipping cost (if any). Please note that the special 20% discount during the month of your birthday is available for only once either online or at one of our physical stores. - Details about the problem. - Screen shots of the error message. - The name of your web browser and its version number. In normal circumstances, orders are shipped within 1-2 working days after placed (except for orders requested with a schedule delivery). Nevertheless, we endeavor to ship our orders as soon as we can whenever possible. Remarks: Delivery to remote areas or outlying islands may require 1-2 additional working days. All orders placed after noon will be processed on the next working day. Our working days are from Mondays to Fridays. The estimated order arrival time only applies to usual days. We may have another arrangement which will be published on our website (if any) during peak seasons e.g. Valentines’ Day, Mother’s Day and Christmas. Sorry for any inconvenience this may cause. How will my Pandora jewellery be packaged? 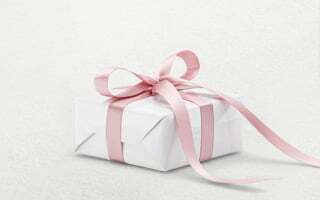 All Pandora jewellery is delivered in an exclusive Pandora gift box, finished with our signature pink silk ribbon. In the gift box, grey foam inserts will be used to cover and protect your jewellery. Pandora logo on our shopping bag is beautifully printed with shiny plastic material. If you would like a shopping bag, you may add the quantity you want with an upper limit of 5 pieces per order in checkout at a cost of $0.5 each in compliant to the “Environmental Levy Scheme on Plastic Shopping Bags” levied by government. There are 2 sizes: 160 x 160 x 60 (mm) and 215 x 160 x 80 (mm). We provide the shopping bag(s) in the appropriate size according to the order items and the number of recipients. Do you offer a personalized gift note card option? Yes, If you would like additional personalized gift note card, you can select this option at the order checkout for free. Your card will be printed on quality light pink cardstock, placed in a pink envelope and placed inside the box with your purchased items. If you prefer a blank gift card, please type “blank gift card” in the specific text box. We are unable to ship out any additional packaging or gift note after an order has been placed. 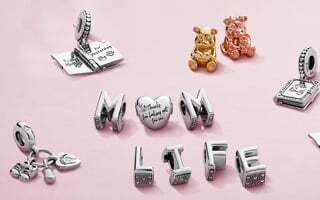 At checkout you have the option to select additional Pandora gift boxes and personalised gift notes if your order includes gifts for multiple recipients. This means your items will be perfectly packaged for your loved ones when they arrive at your address. It is not possible to ship one order to multiple addresses. When you order is dispatched, you will receive an email with a tracking number. Please use the tracking number to locate your parcel on the courier website. Please note that you will not be able to track the delivery status until the day when you received your tracking number. Pandora only ship to addresses within Hong Kong including outlying islands(except PO Box addresses, closed areas in airport and Lok Ma Chau). For deliveries outside of Hong Kong, please click the link at the left-top corner of our website to check our official online store location as well as to select your preferred country option. What is a schedule delivery? The schedule delivery not only allows you to ensure the parcel is delivering at a time most convenient to you, but more importantly it also allows you to plan your gift-giving schedule ahead. During the checkout you will have an option to request a specific delivery date and time for the next 2 to 8 working days, including Sundays and public holidays, within three different timeslots i.e. 08:00-12:00, 12:00-18:00, or 18:00-21:00. We will try our very best to deliver according to your preference but please excuse us if it is not perfectly met due to unforeseen scenarios such as possible delay in festive seasons, unattended shipping address and weather disturbances. Our orders are sent via courier service and must be signed for upon delivery. If there is no one available to sign for a delivery then the parcel will be returned to the depot and a contact card will be left in your post box for you to arrange a re-delivery or pick up at depot at your convenience. Please note that your parcel will be available at the depot on the next business day from the first delivery attempt. The shipping cost is $50 per order regardless of the number of items in the order. Free delivery will be applied automatically to your order in checkout when the purchase amount is over HK$800. Your order will usually be delivered on time, although delays may occasionally occur. Factors beyond our control may impact delivery time and these may include unforeseen impacts caused by our delivery partners and weather disturbances. Pandora carries no liability in these cases and strongly recommends that orders are placed as early as possible. Can you send me a catalogue/ brochure? Unfortunately we cannot fulfil catalogue or brochure requests. Please visit your local store or sign up to Pandora Club for all of the latest news and product updates. 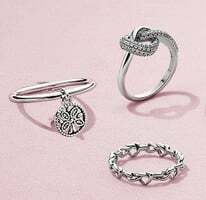 If for any reason you are not completely satisfied with your purchase from Pandora Online Store, we offer a one-off free return and give you a full refund (except the shipping cost), or exchange for the same item in another size. For return of sale items, you will have to pay the additional shipping cost incurred. For hygiene reason, return is not accepted for all earrings products. Please refer to our returns & exchanges policy for details. Please refer to the detailed instruction in our returns & exchange policy. Can I exchange an item purchased from Pandora? We currently only process exchange for the same product in another size. If you would like to exchange for a different product, we suggest you to return your order for a refund and place a new order. Can I return or exchange an item purchased online to a Pandora physical store? Pandora physical stores will not accept returns on products purchased online. Should you wish to return your item, please contact our Customer Support. Can I return an unwanted gift for an exchange or refund? We currently only process exchange for the same product in another size. If you would like to exchange for a different product, we suggest you to return your order for a refund and place a new order. For refunds, we can only credit to the same credit card used for placing the order. You will be notified by email when we received your return and also after the refund or exchange has been processed. My order has arrived and the jewellery is damaged/faulty/missing. What should I do? We are sorry to hear this and apologise for the mistake. We will be pleased to offer you a refund. Please see our returns policy for details or contact our Customer Support for assistance. As a retail business our prices change in response to trends, stock and demand from the consumer. As such we are not able to refund the difference. What happens if I want to return a bracelet set? Refunds are only available for authorized return of the complete bracelet sets. Please see our returns policy for instructions. Once you have placed your order, you will receive an email notification to confirm this. All personal and payment information will be verified in order to protect our customers from fraudulent activities, and this may cause a short delay in processing such orders. Nevertheless, we will contact you if there are any issues. You will receive an email when your order is shipped. The email will contain a tracking number and a link which enable you to track the process of your parcel. Please note that you will not be able to track the delivery status until the day when you received your tracking number. Fortunately orders are processed very quickly. Once you have received your confirmation email, your order cannot be amended. However, you may return your order for refund. For more about returns, please refer to the details here. Can I change my billing/shipping address after I have placed an order? Orders are processed very quickly and so it is not possible to change your billing or shipping address once an order has been placed. Please contact our Customer Support for further assistance. During extremely busy periods it is possible to place an order for a product which may just have gone out of stock. In this case, Pandora reserves the right to cancel your item or your order. If the entire order is cancelled, your credit card will not be charged and there will be no transaction on your upcoming monthly card statement. If your order is partially cancelled, you will only be charged for the new order total amount. Your card issuing bank normally will release the remaining card credit limit back in your card account within a short period. You can refer to the actual transaction amount on your upcoming monthly card statement. When the order total amount has fallen below the free shipping threshold after the item cancellation, we can assure you that your order will still entitle for this free shipping offer. If your order is overdue, please contact our Customer Support who will look into the matter for you. Be sure to provide your name and order number so that we can assist you quickly. Why does my gemstone look different to the image pictured online? Why am I recommended to join Pandora Club? By joining Pandora Club enhances your shopping experience and help you to speed up the ordering process. It also allows you to see your order history, track your order, update your profile, share wish lists with family and friends, and take advantage of exclusive offers. - Check that you are using the same email address and password you registered with. - If you can’t remember your password, click on the “Forgot your password” link at the login page and type in your email address for receiving a Request for Password Reset email. If after this you still can’t sign in, please contact our Customer Support providing as much detail as you can about the issues including screen shots of any error messages you get and what you have tried so far to resolve it. New order would appear in the “Order History” section in your account within 15 minutes after placed. Please allow a short while for your account to be updated. You can check if you have received an order confirmation email first since it is often sent right away once the order is placed. How do I change details in my account? To change details in your account, please visit our official website here to log into your Pandora Club account, then go to “Profile” page to change your personal information and address details. We are sorry to hear that you want to delete your account. Please visit our official website here to log into your Pandora Club account and go to “My Profile”. Scroll down to the bottom of the webpage and click the “I am leaving – please delete my profile” link to confirm this deletion. Does my Pandora jewellery bought online have a warranty? 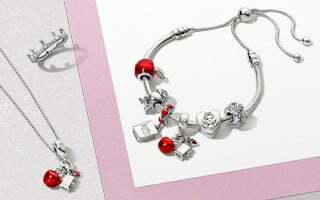 Wearing counterfeit or non-Pandora charms can damage Pandora bracelets and will void the warranty. 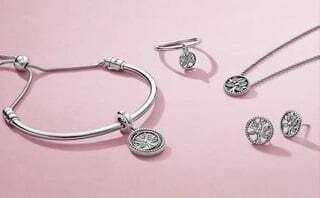 Pandora will not replace, fix, or repair a product that has been used with non-Pandora products. 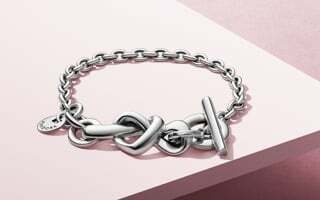 Stretching of Pandora chains and bracelets is not considered a manufacturing defect. Do not expose your Pandora products to harsh chemicals or environments. Silver pieces are given detail by oxidation. Exposure to harsh chemicals or environments can alter the appearance of your Pandora product. These types of chemicals include, but are not limited to, liquid silver polish, pools, hot tubs, and spas. 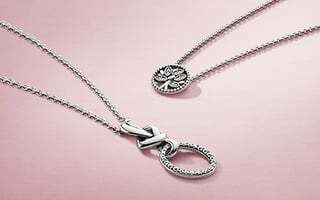 If your Pandora jewellery breaks within the warranty then Pandora will replace the item. Please see ‘Does my Pandora jewellery have a warranty?’ above for information on the Pandora warranty. My jewellery has broken outside of warranty, what should I do? Please take your jewellery along with the original invoice to your local Pandora store. They will assess the damage and if it is repairable, they will send your jewellery for repair at a small cost. Charges must be paid to the Pandora retailer. A hallmark is a UK term for a stamp indicating the origin of jewellery. 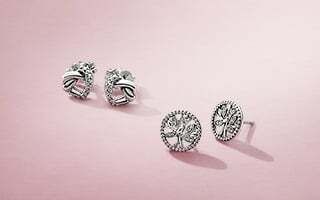 The standard hallmark on Pandora jewellery is "ALE", which stands for Algot Enevoldsen, the father of Pandora founder, Per Enevoldsen. You will always see "ALE" stamped on our jewellery, except on some of our smallest pieces. The US equivalent to hallmark is maker´s mark, and the Danish equivalent is responsibility mark. We also recommend that you do not wear your jewellery whilst bathing, whilst in bed or during sporting activities. Always undo the clasp to remove your bracelet. We recommend the use of our clips to distribute the charm weight into 3 equal sections. Use a polishing cloth often to prevent tarnishing and make the metals shine. Clean the jewellery with lukewarm soapy water and gentle brushing with a soft toothbrush. We do not recommend the use of silver polish and silver dip as it may destroy the oxidised details. Do not expose the jewellery to harsh chemicals, ammonia, bleach, chlorine and salt water. Remove the jewellery prior to cleaning, bathing and swimming and do not expose the jewellery to hairspray, perfume and cosmetics. When jewellery is not worn, it should be stored in a protective box or a tarnish-resistant pouch. Do not wear gemstone jewellery in situations where it may be exposed to rough surfaces, extreme temperatures, harsh chemicals or severe impacts. Jewellery with stones should always be stored separated from each other to avoid scratching. Avoid rough handling and when not in wear, keep items of jewellery separate to avoid scratching. Create foam in a bowl and apply the suds to the leather/wood surface with a soft lint-free cloth. Do not use the soapy water. Make sure the cloth is only damp and not wet. Wipe with a dry cloth. Do not expose the wood beads to contact with chemicals, perfume, creams, soaps or silver polish as this will strip or discolour the protective lacquer. As a characteristic of the production method, each Murano glass charm is unique and can contain small variations in the design and the colouring. These variations are in no way to be considered a fault of the product and are simply evidence of how the glass design has been made by hand. Do not clean in ultrasonic cleaners or with silver dip. If the glass becomes "dry" or dull, use a small amount of mineral oil, rub in circles with a very soft, preferably lint-free cloth, and wipe off excess. Jewellery should be stored away from natural sunlight and heat, in a protective (lined) jewellery box or a tarnish-resistant pouch (currently not available in Pandora stores). It can also be stored in a plastic zip lock bag made of Mylar or polyethylene. Never use polyvinyl plastic bags, such as bin liners as they contain sulphur compounds, which will make sterling silver tarnish faster. Do not store your jewellery in the bathroom. How to find Pandora stores? Please click Store Locator to find your nearest store.